Headwinds have emerged recently for Ukraine after trade was effectively suspended with companies from the occupied territories in February. The decision will result in slower economic growth in 2017 – we downgrade our full-year GDP projection by 0.4ppts to a still-robust 2.4% – and could stir up exchange rate pressures later into the year. However, the impact is far from critical and the economy is well-placed to continue its post-crisis recovery. 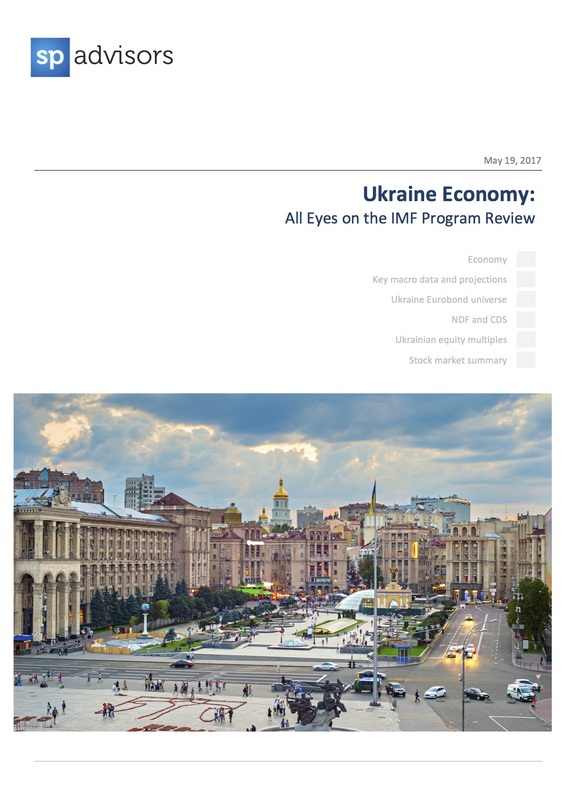 The next two months will be decisive for Ukraine in its cooperation with the IMF within the EFF program. Future loan disbursements in 2017 will require the adoption of critical legislation on pension and land reform. Please contact SP Advisors for the full version of the document – information@spadvisors.eu.